The Bureau of Land Management (BLM) appears poised to approve Arch Coal’s recent request for a renewed royalty rate reduction (RRR) on coal they’ve been digging from particularly troublesome areas of the West Elk Mine in Somerset. 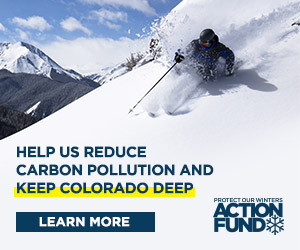 While the decision is not yet final, it appears likely to land in the coal mine’s favor, as noted in a recent letter from the BLM to Colorado Governor Hickenlooper. Gunnison County Commissioners and High County Conservation Advocates have written letters opposing the reduction. The areas covered by the reduction are referred to collectively as the E-seam, characterized as having “adverse geologic and engineering conditions.” The letter to the governor requests his review of the draft decision. BLM [Bureau of Land Management] is persuaded that the geologic conditions described in the application and confirmed by the field office mining engineer’s inspections of the mine are severe and create a situation where resource recovery would be reduced in absence of a royalty rate reduction. The adverse conditions are anticipated to continue throughout the remaining life of the West Elk Mine. Royalty rates determine the money returned to the community for the privilege of extracting resources like coal from public land. The RRR requested would reduce the amount paid out by the mine to the community from 8 percent to 5 percent on all coal taken from the E-seam areas on BLM land. The letter contends the mine has not met that obligation. “We met the financial test,” said West Elk Mine’s environmental engineer Kathy Welt. “But we’re not asking for a reduction based on that.” Financial viability, or lack thereof, Welt explained, is just one justification for a royalty rate reduction. Other criteria include “expanded recovery” of the resource, and “extension of mine life,” both contingent upon the mine overcoming the geologic and engineering conditions described in the draft. Although geologic and engineering challenges inherently increase costs, they are evaluated on their own merits separately from the financial test. Welt confirmed that coal has been, and continues to be, pulled from the E-seam, albeit slowly. RRR approvals are designated for five years, and always retroactive, said Welt, because the approval process takes so long. Arch Coal applied for its original RRR on the E-seam in 2010. The BLM approved it in 2012 to cover 2010 to 2015. “It’s all in good faith,” Welt said. That’s why the West Elk Mine has continued operations in the E-seam, pending approval, or re-approval of the RRR. “The geologic and engineering conditions have not gone away,” said Welt. It’s that, she said, or shut down the mine while waiting two years for approval. When the coal market slowed, production in the E-seam also slowed. As a result, the mine didn’t explore for or extract all the coal in the E-seam before the 2010 RRR expired. “This request is just finishing what we started,” she said. Reed said the BLM’s draft offers no details on the cost of mining the E-seam compared to projected profits on the sale of that coal. Welt contends that’s not necessary because the request is a renewal of a RRR that was previously approved, and it’s based on criteria other than the financial test. Welt emphasized the RRR will apply only to the coal extracted from those troubled sections. “It’s not the whole production area,” she said. “The intent of the regulations that allow reductions in royalty rates is to incentivize coal mines to explore and extract from areas that present a particular challenge,” explained Welt. “The resource is finite,” she said, and royalty reductions make it worthwhile for the mine to get the most coal it can from a single operation. Welt said Arch is looking to continue operations in Somerset for as long as possible. She confirmed that the expected lifespan of the West Elk Mine is no more that 10 years. County manager Mathew Birnie said commissioners are working wih the county attorney to draft another letter to the governor voicing their opposition to the RRR.